The International Committee of the Red Cross (ICRC), Islamabad is pleased to announce two ICRC Internship 2019 for a period of three months starting from 15 February 2019.ICRC Internship 2019 allow for a general understanding of the ICRC, its mandate and activities in Pakistan; and provide an opportunity for students to gain exposure to a real work environment of the ICRC. The interns will be attached with Communications department of the ICRC. During the ICRC Internship 2019 they will be engaged in number of tasks including research, organizational and administrative support, translation and other assignments related to various activities of the ICRC delegation in Pakistan. 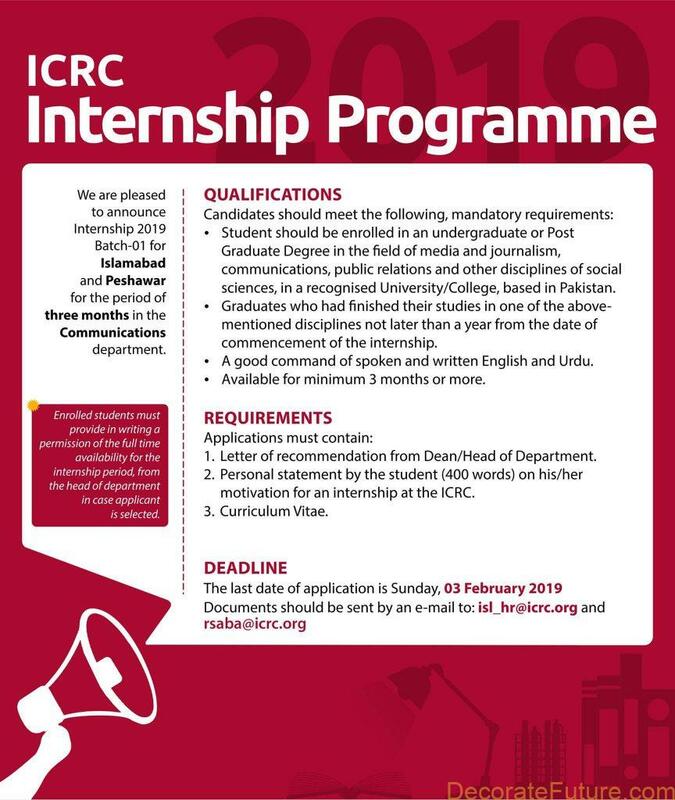 So Grab the opportunity from ICRC Internship 2019 the latest internship Opportunity in Pakistan. The student should be enrolled in an undergraduate or Post Graduate Degree in the field of media and journalism, communications, public relations and other disciplines of social sciences, in a recognized University/College, based in Pakistan. 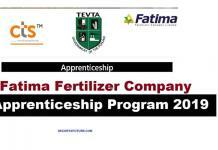 Graduates who had finished their studies in one of the above-mentioned disciplines not later than a year from the date of commencement of the internship. A good command of spoken and written English and Urdu. Available for minimum 3 months or more. 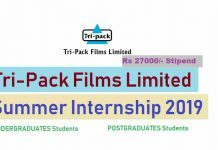 For enrolled students, the applicant must provide in writing permission for the full-time availability for the ICRC Internship 2019 period from the head of the department, in case the applicant is selected. A manifest interest for humanitarian action/issues and the ICRC. Ability to think strategically, to express ideas clearly, both orally and in writing, and to work both independently and as part of a team. Capacity for research and analytical writing. Capacity for thinking out-of-the-box and for generating ideas and initiatives. Flexibility and ability to assist with a variety of tasks. 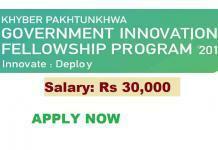 Recruited interns will be offered a 3-month paid contract with a monthly stipend of PKR 15,000/-. The positions are based at ICRC office in Islamabad. Letter of recommendation from Dean/Head of Department. A personal statement by the student, maximum 400 words, on his/her motivation for an internship at the ICRC. Do not send any documents other than the three listed above. Late or incomplete applications that do not meet the stated requirements, will not be considered. Only short-listed candidates will be contacted for an interview. The last date of application for International Committee of the Red Cross Paid Internship is Sunday, 03 February 2019.